The Kindergarten program begins in the morning when the children are encouraged to use their skills with challenging Montessori materials. The more structured Kindergarten program begins after lunch. A major component of the curriculum is the study of seven countries that change from year to year. During the afternoon, the children work and collaborate in small groups, preparing them for their transition to First Grade. 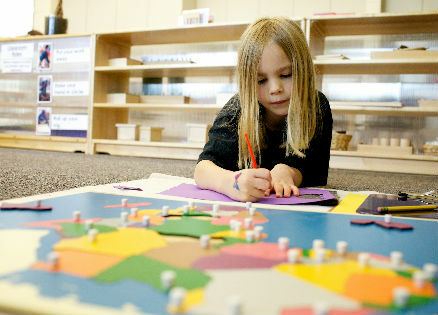 They further develop important readiness skills while building a lifelong love of learning. 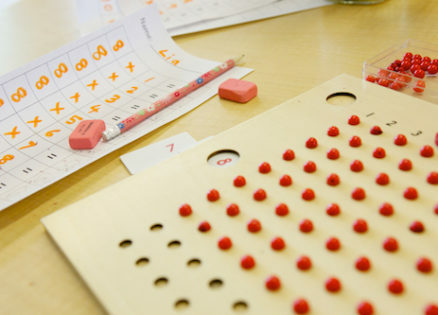 They continue to develop their concentration, fine motor skills, coordination, confidence, and academic skills.